Autonomous control and digital instrumentation are two capabilities enabling highly precise or complex execution of process control functions. FOUNDATION fieldbus instrumentation elevates the level of control afforded to digital field instrumentation where, instead of only communicating with each other, instruments involved in particular process control systems can independently facilitate algorithms typically reserved for instruments solely dedicated to controlling other instruments. 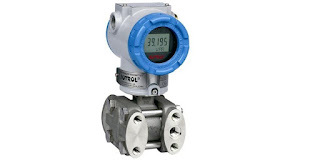 Fieldbus capable instrumentation has become the standard instrumentation for many process industry installations due to the fact the FOUNDATION design principle streamlines process systems. A large contributor to FOUNDATION’s success has been faster installation as opposed to operational controllers which do not feature the fieldbus configuration. Newer process companies, or process control professionals seeking to establish a new system, have gravitated towards fieldbus due to the combined advantages of system conciseness and ease of implementation. In a typical digital control system, dedicated controllers communicate with field instrumentation (the HART protocol is a prime example of digital communication at work in the industry). The host system controls configuration of instruments and serves as a central hub where all relevant control decisions are made from a single dedicated controller. Typically, these networks connect controllers and field devices through coupling devices and other ‘buses’ which streamline many different instruments into a complete system.